Security and safety of robots. The workshop will be held on April 12, 2017, co-located with Computational Visual Media conference, at Nankai University, Tianjing. Compliant mechanisms provide kinematic solutions for transferring or transforming motion or force in a mechatronic system. Rather than relying on sliding or rolling motion as in traditional mechanics, compliant mechanisms produce their mobility based on the deflection of flexible members. This enables the integration of multiple functions into simple topologies, by embedding sensors and actuators to build fully functional and distributed devices capable of complex tasks. Further, the simple topologies in structural, mechanical, and electronic integration could lend themselves to advanced manufacturing techniques such as 3D printing with materials specialized in electro-mechanical sensing and actuation in addition to structural support, such as electroactive polymers and nanoparticle composites. Compliant mechanisms show promise for developing soft robots in addressing many pressing needs such as next generation medical implants and biomimetic medical devices. This presentation describes an overview of a class of such compliant mechatronic systems and methods for their design and fabrication. It focuses on a computation method for designing compliant mechanisms with distributed compliance and/or made of multiple materials. It also presents an overview of exploratory solutions to modeling of soft continuum, hyper-elastic simulation for soft robots, distributed control of soft actuators (polymers or fluids), strategies for soft manipulation and locomotion, and rapid prototyping and fabrication of elastic robots. Michael Yu Wang is a Professor and the Founding Director of HKUST Robotics Institute. Before joining HKUST in 2015, he served on the engineering faculty at University of Maryland, Chinese University of Hong Kong, and National University of Singapore. He has numerous professional honors–National Science Foundation Research Initiation Award, 1993; Ralph R. Teetor Educational Award from Society of Automotive Engineers, 1994; LaRoux K. Gillespie Outstanding Young Manufacturing Engineer Award from Society of Manufacturing Engineers, 1995; Boeing–A.D. Welliver Faculty Summer Fellow, Boeing, 1998; Distinguished Investigator Award of NSFC; Chang Jiang (Cheung Kong) Scholars Award from the Ministry of Education of China and Li Ka Shing Foundation (Hong Kong), and the State Natural Science Prize (Class II) from the Ministry of Science and Technology of China. He received the Kayamori Best Paper Award of 2001 IEEE International Conference on Robotics and Automation, the Compliant Mechanisms Award-Theory of ASME 31st Mechanisms and Robotics Conference in 2007, Research Excellence Award (2008) of CUHK, and ASME Design Automation Award (2013). He is the current Editor-in-Chief of IEEE Trans. on Automation Science and Engineering, and served as an Associate Editor of IEEE Trans. on Robotics and Automation and ASME Journal of Manufacturing Science and Engineering. He is a Fellow of ASME, HKIE and IEEE. He received his Ph.D. degree from Carnegie Mellon University (1989). Motion trajectories play an important role in characterizing human or robot actions and behaviours. Effective ways to track and describe them are lacking that can fully depict spatial trajectories in 3D. In this work, I will present our research in visual tracking and trajectory description. An invariant descriptor proposed for free form trajectory description in Euclidean space. The signature admits rich invariants due to the computational locality. By implementing the approximate signature, the noise-sensitive high order derivatives are avoided. The trajectory can then be recognized based on the customized signatures similarity metric. Case studies will be given to show the signature’s effectiveness and robustness in 3-D trajectory description and recognition. You-Fu Li received the PhD degree in robotics from the Department of Engineering Science, University of Oxford in 1993. From 1993 to 1995 he was a research staff in the Department of Computer Science at the University of Wales, Aberystwyth, UK. He joined City University of Hong Kong in 1995 and is currently professor in the Department of Mechanical and Biomedical Engineering. His research interests include robot sensing, robot vision, and visual tracking. He has served as an Associate Editor for IEEETransactions on Automation Science and Engineering (T-ASE), Associate Editor and Guest Editor for IEEE Robotics and Automation Magazine (RAM),and Editor for CEB, IEEE International Conference on Robotics and Automation (ICRA). This talk consists of two recent research works conducted in my research group towards the direction of adding more degree-of-freedom motion in the process of additive manufacturing therefore further enhance the flexibility of fabrication. In the first work, a robotic system – RoboFDM is presented. The fabrication of 3D models in this system follows the principle of fused decomposition modeling (FDM). Different from conventional FDM, an input model fabricated by RoboFDM is printed along different directions at different places. A new algorithm is developed to decompose models into support-free parts that can be printed one by one in a collision-free sequence. In the second work, we do not limit material accumulation on a planar surface anymore. An input solid model is decomposed into a sequence of curved layers that can be fabricated by using mutil-axis additive manufacturing. Both approaches have been tested on a hardware platform equipped with a 6DOF robotic arm. Charlie C.L. Wang is currently a Professor and Chair of Advanced Manufacturing in the Department of Design Engineering at Delft University of Technology, The Netherlands. Prior to this position, he was a Full Professor / Associate Professor / Assistant Professor of Mechanical and Automation Engineering at the Chinese University of Hong Kong (CUHK), where he started his academic career in 2003. Prof. Wang received a few awards from professional societies including the ASME CIE Excellence in Research Award (2016), the ASME CIE Young Engineer Award (2009), the Best Paper Awards of ASME CIE Conferences (twice in 2008 and 2001 respectively), the Prakash Krishnaswami CAPPD Best Paper Award of ASME CIE Conference (2011), and the NAMRI/SME Outstanding Paper Award (2013). He serves on the editorial board of a few journals including Computer-Aided Design, IEEE Transactions on Automation Science and Engineering, ASME Journal of Computing and Information Science in Engineering, and International Journal of Precision Engineering and Manufacturing. He is a Fellow of American Society of Mechanical Engineers (ASME). Robotics are increasing being use for manufacturing, assembly, warehouse automation, and service industries. However, current robots have limited capabilities in terms of handling new environments or working next to humans or with the humans. In this talk, we highlight some challenges in terms of developing motion and task planning capabilities that can enable robots to operate automatically in such environments. These include real-time planning algorithms that can also integrate with current sensor and perception techniques. We also demonstrate many applications in terms of autonomous picking, avoiding human obstacles, and operating as cobots. Given that China has been the biggest purchaser of industrial robots, we also highlight the potential benefits of these technologies for Chinese robotics and manufacturing industries. 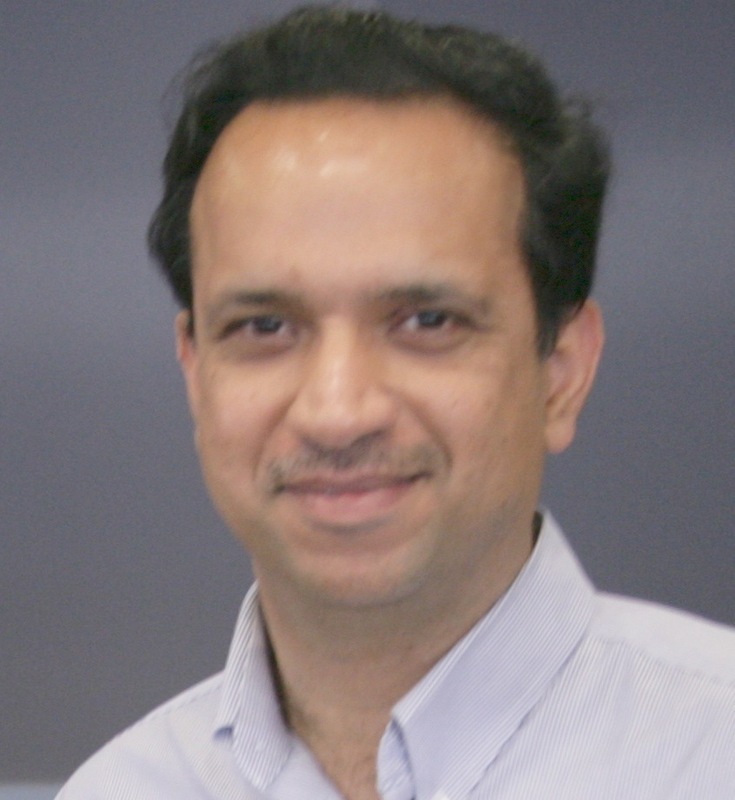 Dinesh Manocha is currently the Phi Delta Theta/Mason Distinguished Professor of Computer Science at the University of North Carolina at Chapel Hill. He received his Ph.D. in Computer Science at the University of California at Berkeley 1992. Along with his students, Manocha has also received 14 best paper awards at the leading conferences. He has published more than 450 papers and some of the software systems related to collision detection, GPU-based algorithms and geometric computing developed by his group have been downloaded by more than 150,000 users and are widely used in the industry. He has supervised 30 Ph.D. dissertations and is a fellow of ACM, AAAS, and IEEE. He received Distinguished Alumni Award from Indian Institute of Technology, Delhi. be able to act in similar way. alone, and point to conditions under which a combination of touch and vision provide an advantage. In addition, we outline an inexpensive touch sensor. application of computer vision to computer graphics and to robotics. He specialises in the analysis of natural phenomena, recognition of objects in photographs and artwork, and the fusing the senses of vision and touch.